xStreamer is an adult tube site like youporn.com - so member profiles can comment on the videos. 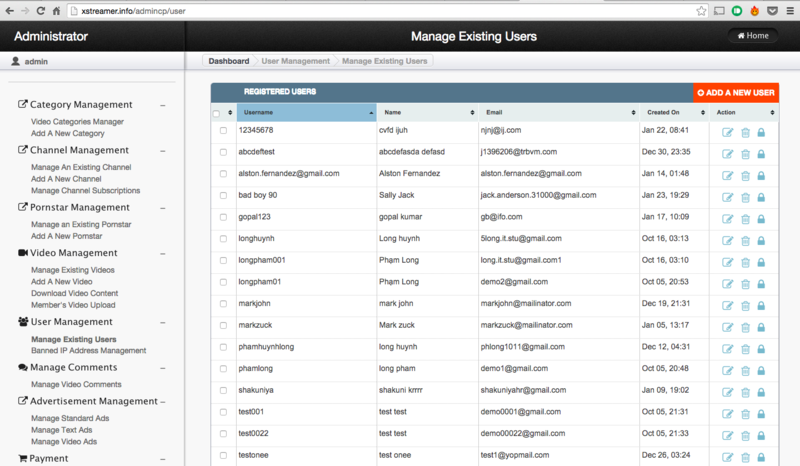 All the comments can be seen from the admin dashboard under Comments management. Admin can reply back to those comments from the admin dashboard. Admin can also edit and delete the comment if he wants. Admin can manage member profiles. View profile information, Edit and Delete. Block option allows admin to block the user profile. He can sort the list of members by name, date of creation, email ID etc. If you find spammy bots, you can block them in IP level. Simply enter the IP address - so no one can create profiles from the IP address.